About a week ago, I had a day off. 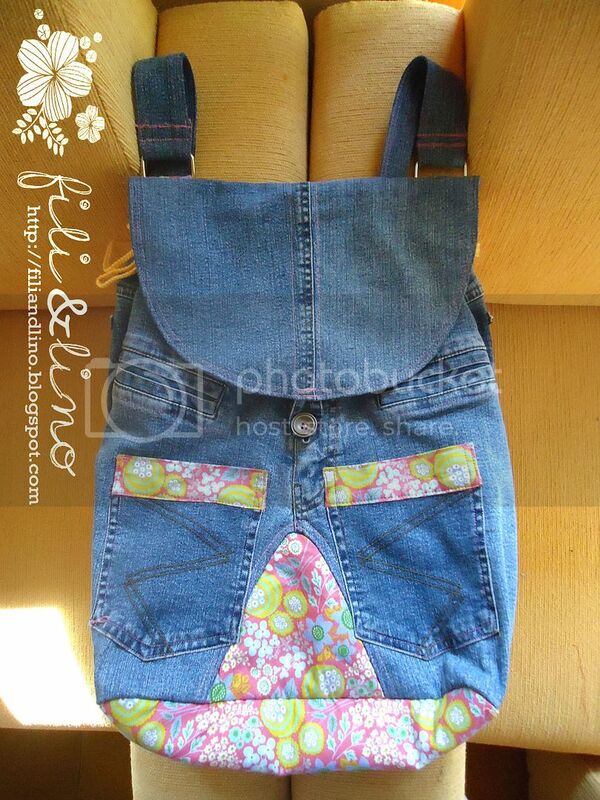 I decided to spent a quality time for myself: I made a bag from a jeans that I couldn't use any more. It was gift from my sister and it was very lovely, so I didn't want to give it or throw it away. 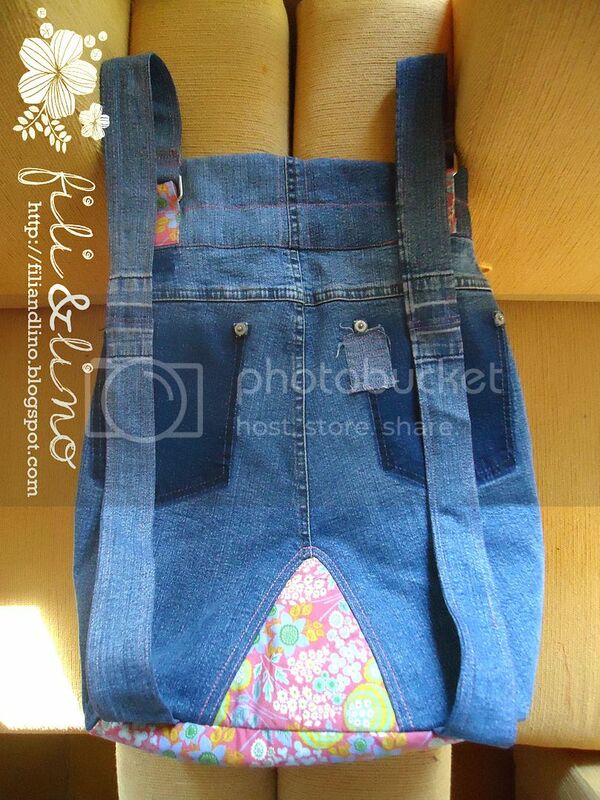 Because my previous bag is already dull, I decided to make a new bag from this jeans. Plus, I've wanted to do this for quite a time. 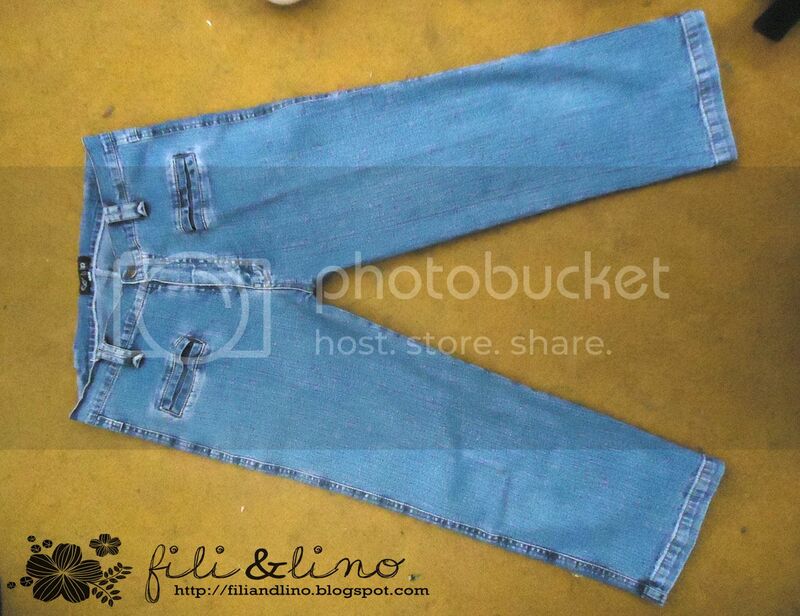 The plan is to transform this jeans into a backpack. 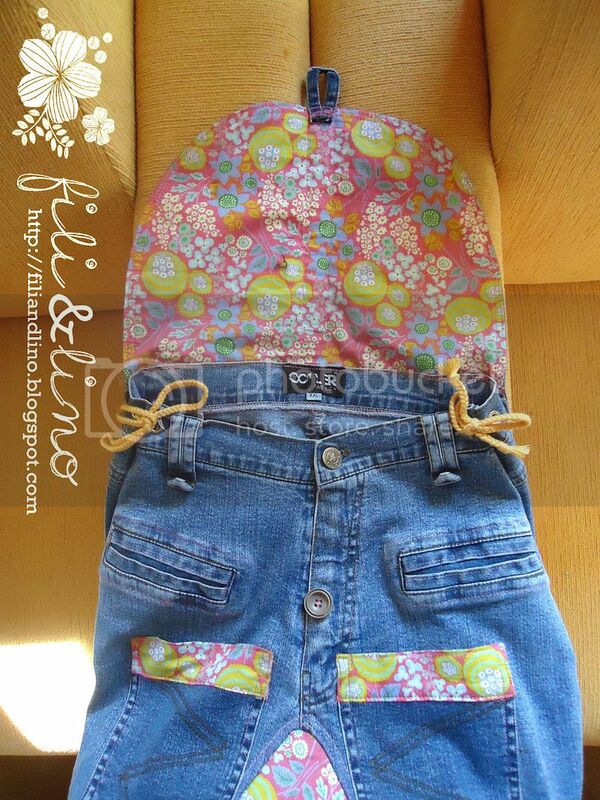 First, I cut the jeans into several parts and split the back pockets so I could use it for new pockets in the front. I also added two knots on both sides so I can upgrade the size of the bag. The back is shadowed, caused by the removed pocket ^^;. This bag can keep a lot of stuff but because I just follow the original form and didn't add any linings, it is not sturdy enough. When the bag is full, it turns into a big pillow...lol.